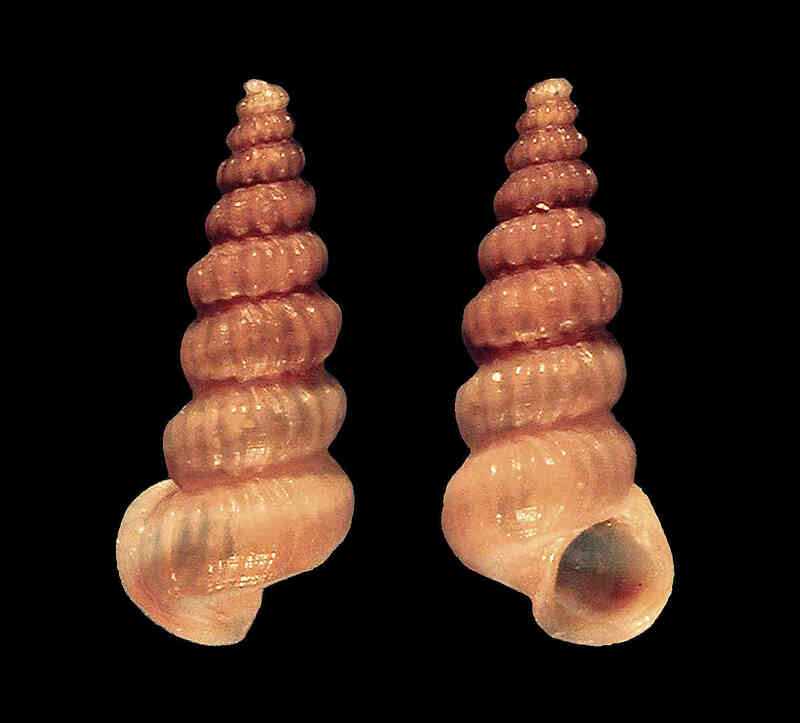 Shell size to 15 mm; shell with twelve rounded whorls and well-defined suture. Sculpture of low, rounded axial ribs that decrease in size on two last whorls. Outer lip flaring. Color light- to dark-brown with spiral bands of lighter color.